Hi everyone! 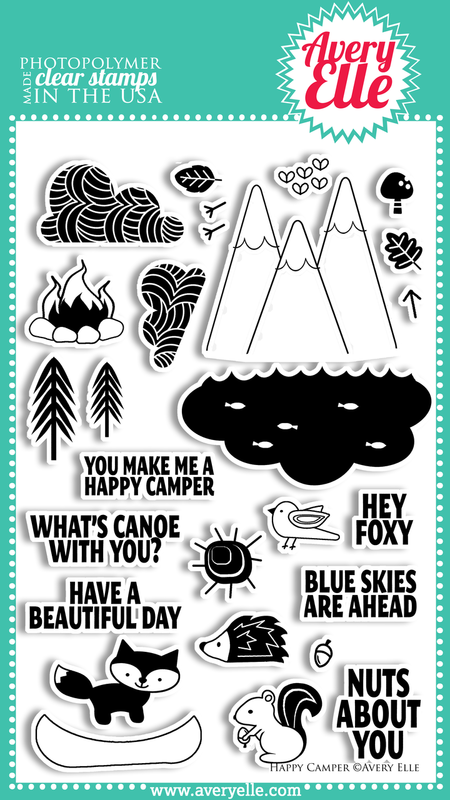 Just stopping in with a couple of Avery Elle Happy Camper cards! Even though the weather here is ALL summer, this set makes me dream of fall. Fall is my favorite season! It reminds me of my college years down in southwest Virginia. Crisp air, leaves changing color, football, and camping! Let's continue with the talking animal theme:) Ever since I got my Fill in the Blank set, I've been experimenting with all kinds of fillers. So many possibilities! Who knew that Mr. Squirrel would be a perfect fit? 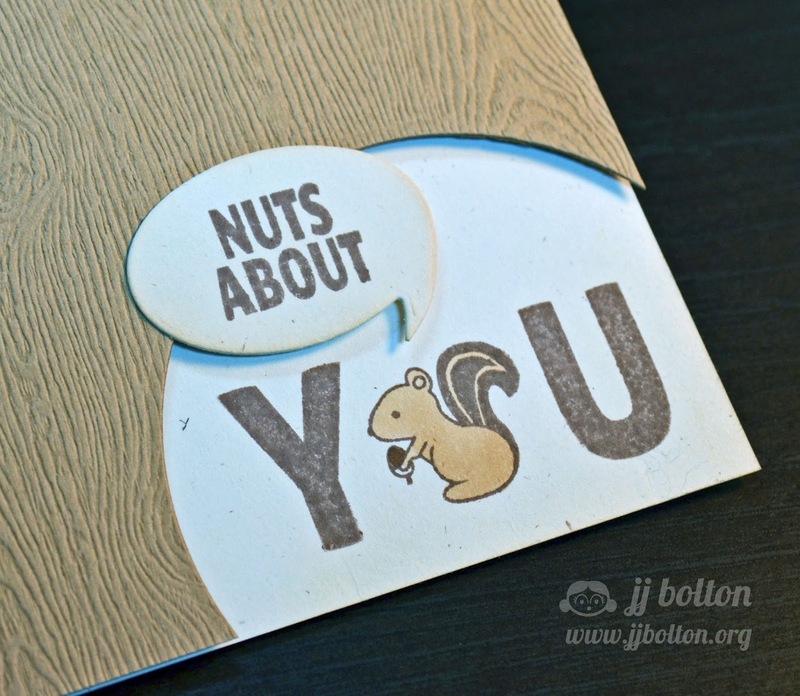 For the sentiment, I masked out the "you" and put it in a die cut speech bubble (from Oh Yeah). 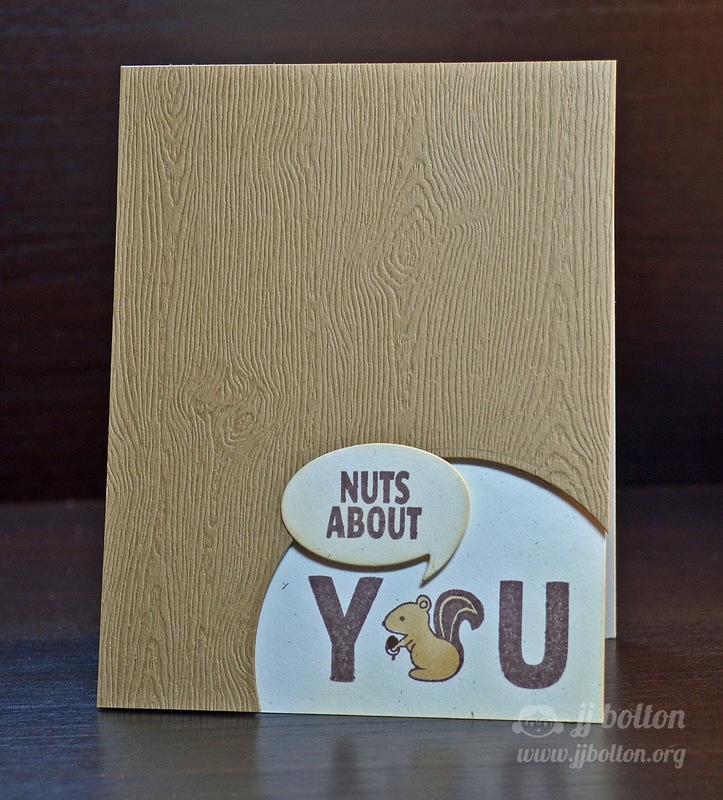 The background is a bit of kraft-colored woodgrain paper (still loving it). Thank you so, so much for checking in! Heather also has a project today, so be sure to check it out! aw, the squirrel is so cute, nestled in there! These are so super cute!!! Love them! JJ these are so cute! I live in upstate NY and can't wait for fall. It is my favorite time of year with corn mazes, apple cider doughnuts and the changing of leaves! Thanks for the inspiration! I know need to ink up my sets! Cuteness!! 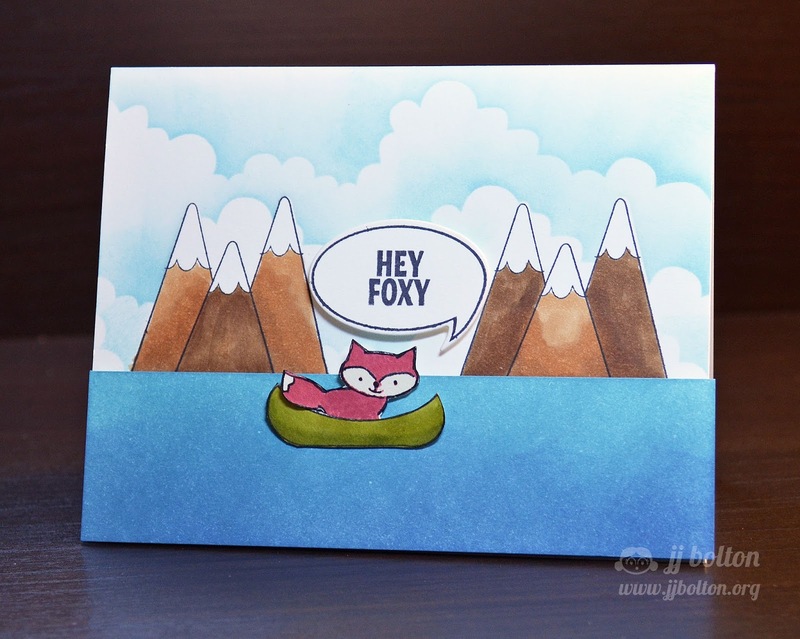 Love the little foxy scene and how the second card looks like he's in a tree trunk! Soooo clever! Love it! Both cards are just adorable! Both really cute cards, love the scene on the first one! oh my these are too cute.. I have got to get this stamp set.. I love all of your inking on your first card, and your scene is just too cute! Such a great way to pair your stamps with different sets on your second card, JJ...Love them both! I had to laugh when I read he has no paddle....guess I know where he's canoeing then :P lol! Are these ever adorable! Love that the squirrel fits in there too. These are both adorable! Given how cute that fox is I'm sure he'll be rescued in no time! :D And your squirrel card is AWESOME!